Quite often, domain users complain about slow computer startup and login time caused by long processing of Group Policies (GPO). From the user’s point of view, the computer boots for a long time and it seems it hangs up for several minutes on the stage of “Applying computer/user settings“. In this article I will try to collect useful diagnostic tools and methods that allow an administrator to determine the reasons of slow GPO applying on the domain computers. Actually, there are a number of reasons why Group Policies take a long time to be applied: these can be DNS issues, DC availability and the speed of connection to it, wrong configuration of AD sites or replication problems, misconfigured group policies, incorrect scripts, etc. It’s hard to describe an all-in-one algorithm to diagnose all these issues. When solving such problems, as a rule, an important role is played by the experience and skills of a administator who makes diagnostics. In this article, we will focus only on the diagnostics of the problems with the GPO and GPClient mechanisms. To make sure that the issue is related to the domain GPO, create a separate OU in the domain and move the problem computer to it. 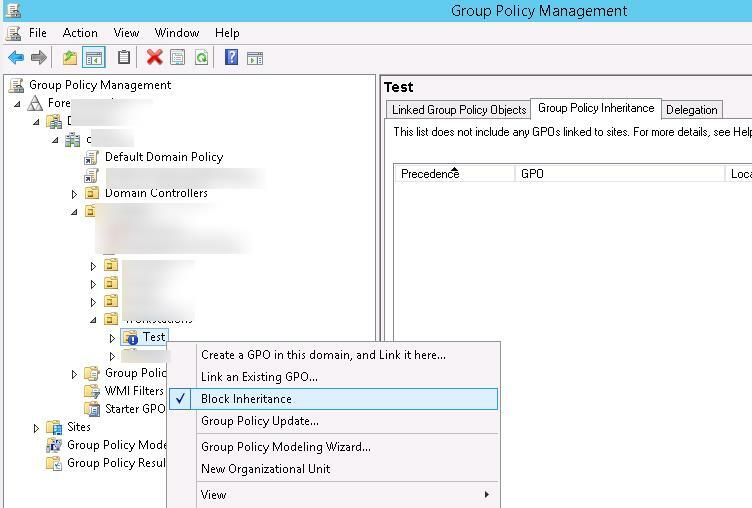 Then using Group Policy Management Console (GPMC.msc) enable blocking of policy inheritance for this container (Block Inheritance). Thus, all domain policies will stop to be applied to this container (policies with the Enforced mode enabled are the exception). Restart the computer and check if the problem with slow GPO applying persists. If it persists, it is likely that the problem is in the computer itself or the local group policies (try to reset them to default ones). 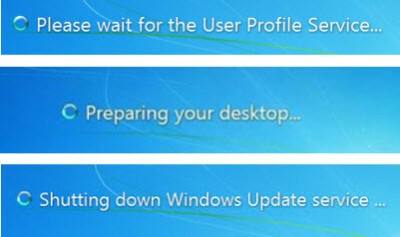 In Windows, you can enable the display of detailed status information that allows users and the administrator to visually understand at what stage of computer loading the greatest delay is observed. 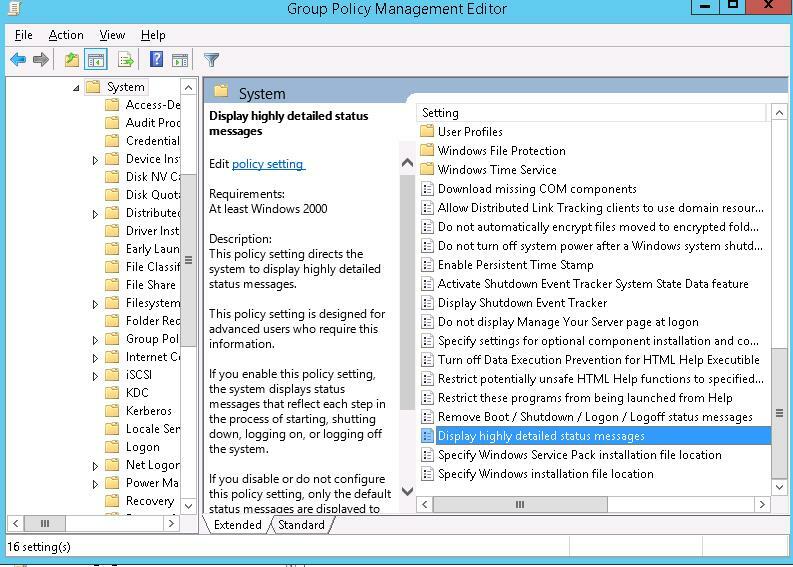 If you enable this policy, the information about GPO components being applied is also displayed. The same parameter can be activated via the registry. 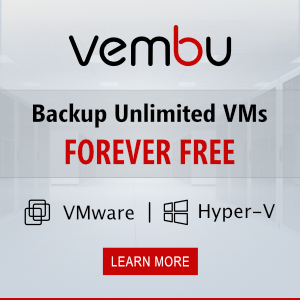 To do it, create a DWORD parameter with the name verbosestatus and the value 1 in the registry key HKEY_LOCAL_MACHINE\SOFTWARE Microsoft \Windows \CurrentVersion\Policies\System. This report is quite convenient for the analysis and contain references to errors when applying GPO. The winlogon notification subscriber <GPClient> took 3104 seconds to handle the notification event (CreateSession). 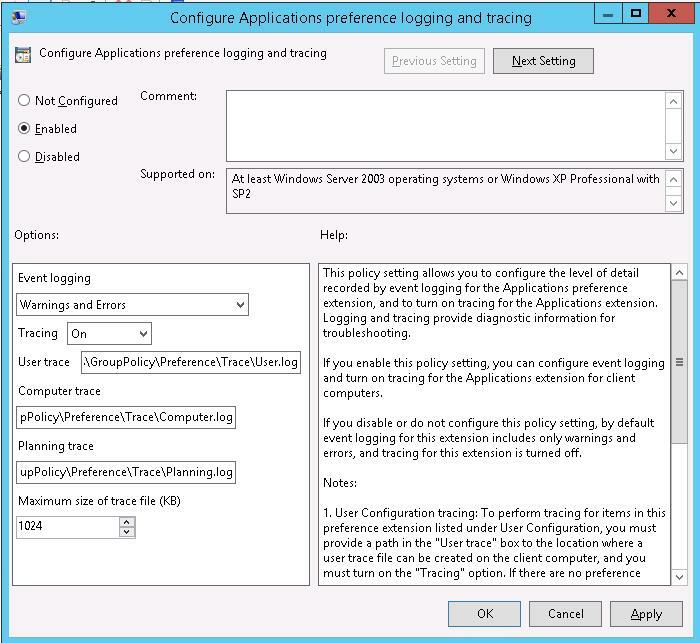 In Windows 7 / Windows 2008 R2 or higher, all the events related to group policy processing on a client are available in Event Viewer (eventvwr.msc) in Applications and Services Logs –> Microsoft -> Windows -> Applications and Services Logs -> Group Policy -> Operational. Note. 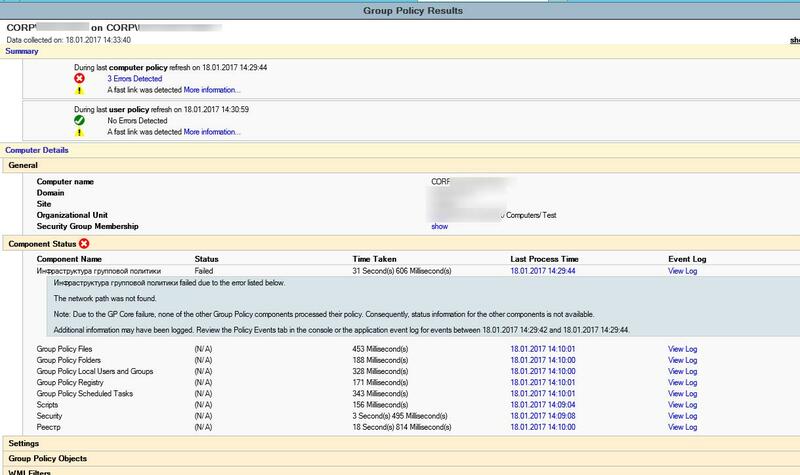 In the System log, only the events related to the operation of the Group Policy Client (gpsvc) itself are left. 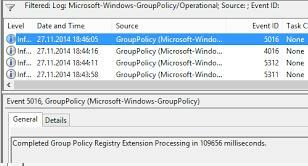 Completed Group Policy Registry Extension Processing in 109656 milliseconds. EventID 5312 contains the list of the applied policies, and the EventID 5317 shows the list of the filtered GPOs. EventID 8000 and 8001 contain the time of computer and user policy processing during the boot, respectively. And EventID 8006 and 8007 have the data about the time of policy application during regular updates. Completed computer boot policy processing for CORP\pc212333$ in 28 seconds. When analyzing the log, pay attention to the time between two neighboring events. It can help to find the problem component. In some cases it is useful to enable GPO processing debug log — gpsvc.log. Using timestamps in gpsvc.log you can find GPO components that have been processed for a long time. Tip. 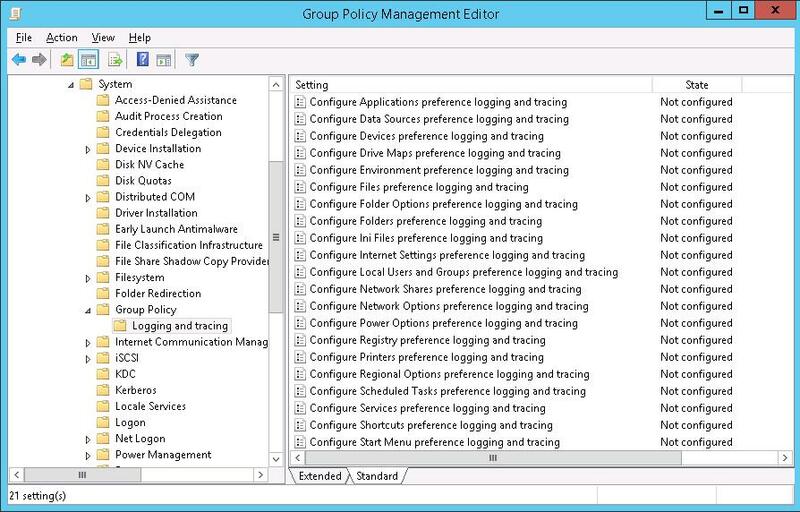 If you don’t have Logging and Tracing subsection in the Group Policy section of your gpedit.msc/ GPMC console, download and install Group Policy Preferences ADMX templates and copy GroupPolicyPreferences.admx from %PROGRAMFILES%\Microsoft Group Policy to the local folder PolicyDefinitions or to the central directory PolicyDefinitions in SYSVOL. After collecting the logs, you need to analyze them for errors, and also try to find nearby events, the time between which is different for a few minutes. So in this article, we have considered the main ways to diagnose the slow Group Policy processing on the domain computers. I hope the article will be useful.